Extensions are an extremely customizable service, and freedom to order fun colors, effects and textures allow your creativity to flourish. Photo by @blohaute. Extension inventory is dependent of the nature of your business. For example, Amanda Diedrich, known as by her Instagram handle @blohaute, is a freelance stylist and travels to all her clients. She requires a consultation about a week before her client needs the extensions in order to get the hair ordered after matching. In order to streamline this process, she works with a brand that she can order directly from online. However, working in a salon, it’s a good idea to have some hair in stock—most clients who come in for a consultation want instant gratification. How much you keep on-hand depends on the size of your extension business. 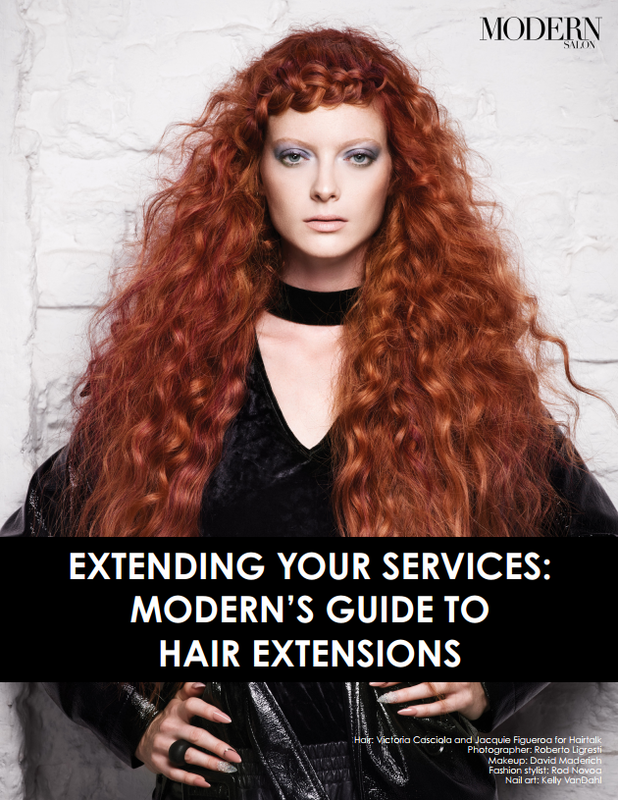 For stylists like Chicago-based celebrity stylist Alex Brown and Nikki Lee and Riawna Capri, co-owners of Nine Zero One salon in West Hollywood, California, extensions make up a HUGE portion of their salon services, so they always have a plethora of extensions at their disposal. Ideally, train your clients to give you a little wiggle room. Extensions are an extremely customizable service, and freedom to order fun colors, effects and textures allow your creativity to flourish. Capri suggests a week allows you as the stylist to have zero stress when ordering extensions. In stylist Lauren Salata’s case, her salon, SALON TODAY Salons of the Year 2017 honoree Base Salon, takes up a very small footprint in Chicago, and there isn’t room for her to keep a stock. She orders extensions to match her client’s hair exactly—color, amount of hair needed and length. Her biggest pieces of advice when custom ordering for every client are to always have a color ring on hand and to fill out an order form while your client is in your chair for her consultation.